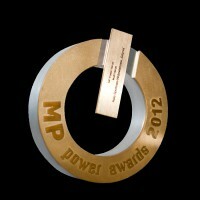 GDYNIA Sports & Show Arena was honoured with the main prize in Poland without barriers 2009 competition in the Sport and Recreation category! The announcement ceremony of the contest results took place on 19th January 2010 in the Column Hall of the Sejm [lower chamber of the Polish Parliament] building. 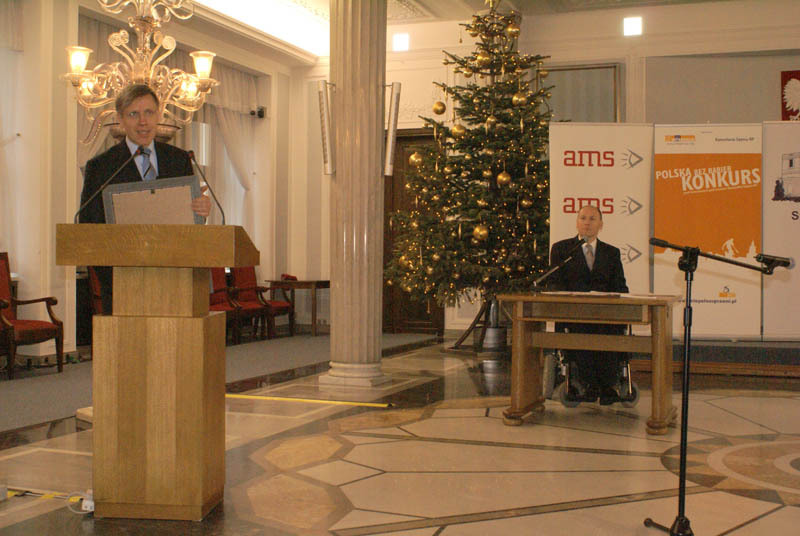 The competition was held under the auspices of Bronisław Komorowski, the then Marshal of the Sejm and staged by the Association of Friends for Inclusion of People with Disabilities and the Sejm Office. The main prize, in the form of a plaque regarding the accessibility of the venue, was presented to Mr Mariusz Machnikowski, the General Manager of GDYNIA Sports & Show Arena by Mr Andrzej Lubiatowski, the Director of the Office of the Union of Polish Metropolitan Cities. 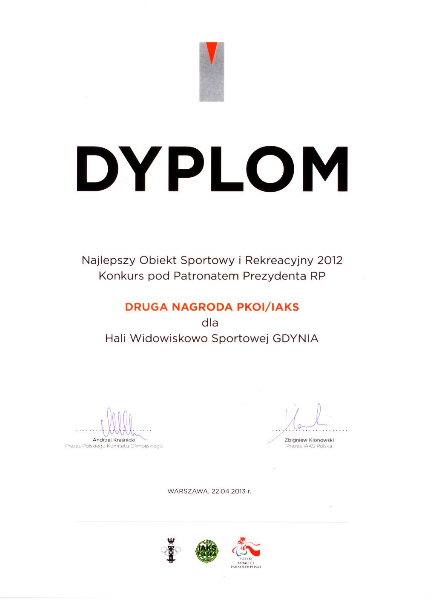 The President of Gdynia, Dr Wojciech Szczurek, received a prize in the Local Government category. Gdynia received resources for an outdoor advertising campaign provided by AMS SA, a strategic partner of the competition. This award was jointly presented by Mr Marek Kuzak, the Vice President of the AMS SA Board of Directors and Mr Marek Plura, the Chairman of the Parliamentary Unit for People with Disabilities. 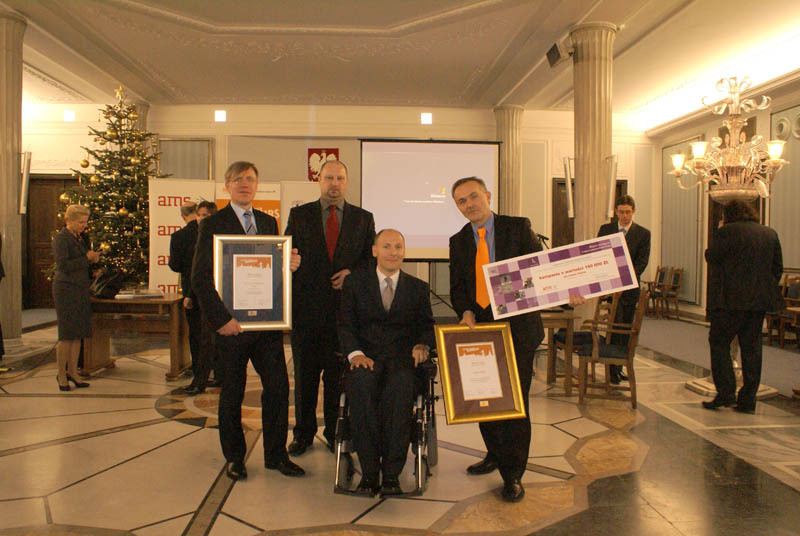 The above-mentioned prizes result from long-term intense efforts of Gdynia local government authorities, designed to establish and implement social policy that removes barriers to normal and active life of people with disabilities. residential buildings (houses, housing estates). The press conference regarding the Poland without barriers 2009 competition was held in GDYNIA Sports & Show Arena (8 Kazimierza Gorskiego Street) on 20th January, 2010.